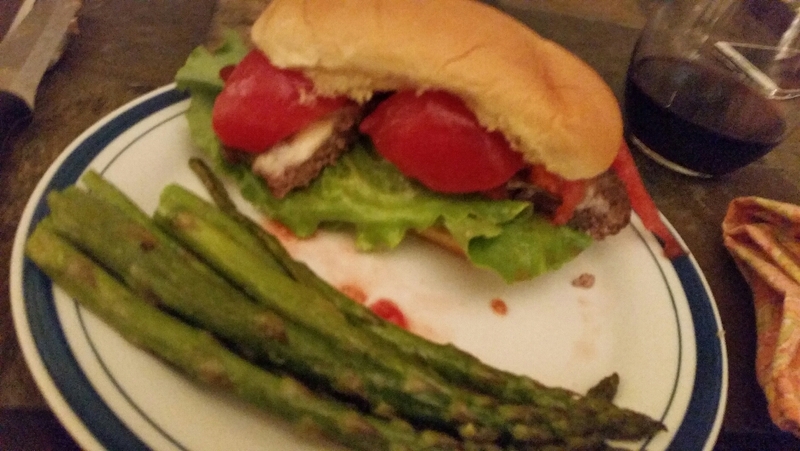 Tonight I made bison burgers. They weren’t good. They weren’t juicy and fatty like burgers should be and really if I’m going to eat a burger, I want it juicy and fatty. I stir fried some vegetables as a side dish and put some yummy strawberries out. My kids had left over pasta because the bison burgers didn’t look too appealing. Next time I’m hungry for burgers . . . I’m going to have burgers. Day 12: Cooking Chicken Pinwheels Again. Because It Works. Day 11: My Sister’s in Town So It’s All-Restaurants All the Time!